A Harry Potter fan's attempt to impress hacktivist collective Anonymous by defacing a charity's website has backfired and his alleged identity handed over to cops. RedSky, a video production firm that produced a documentary to help raise cash for underprivileged kids in New Zealand, was done over by the black hat hacker who uses the Twitter profile AnonVoldemort. Bryan Bruce, the filmmaker whose RedSky.tv website was trashed by the self-style Dark Lord, issued a plea on Facebook for help in restoring the site and tracking down the perp. Members of Anonymous responded by discovering AnonVoldemort's supposed real name and alleged location, and supplied the information to Bruce. 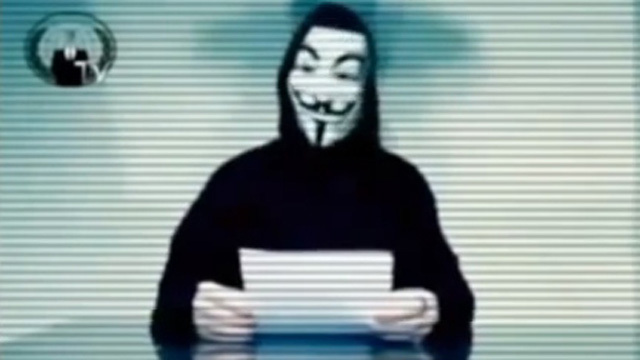 He-Who-Must-Not-Be-Named was outed after Anons were unable to persuade the hacker to hand over a copy of the original files on RedSky.tv before it was vandalised. "This guy was trying to impress them, to try and get into their group and boasting about what he'd done - but they turned on him, they chased him." Bruce has forwarded the alleged name of the vandal onto authorities in Spain. Meanwhile RedSky.tv site remains threadbare and inoperative, and may take as long as a month to restore, according to Bruce. RedSky.tv previously included a store where copies of his documentaries could be purchased, including Inside Child Poverty - A Special Report. Proceeds from this DVD and a percentage from other sales were donated to a charity that cooks up breakfasts for hungry Kiwi schoolchildren.